Tintype Gallery has moved and I wouldn’t recommend using the google maps ap to find it. As I walked towards the blue dot, I began to get the feeling things weren’t quite right. This wasn’t where I had thought the gallery was relocating…something was amiss. 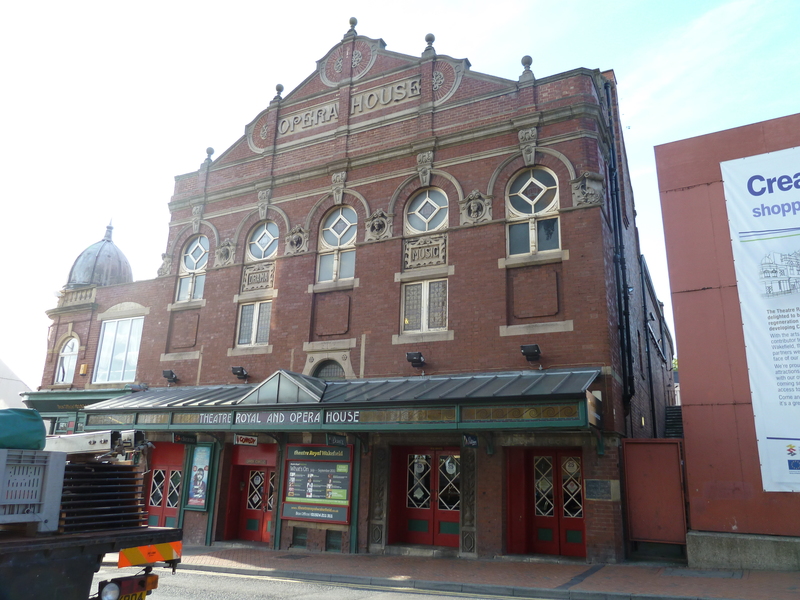 Arriving at the blue dot, my hunch was confirmed – it wasn’t even the right street. Typing in the street address, rather than the postcode, did cheer my ap up considerably but showed I was a reasonable distance out – a £5 cab journey in fact. My stiletto-ed feet weren’t up to the walk in this sweltering heat. When I did arrive at St Cross Street I began to feel more confident. This seemed a more appropriate area for a young, emerging gallery and the gallery doors were open to beckon everyone in and up the stairs. Flora Parrott, detail of Circuit: Five Deductions, 2011. Own photograph. Tintype has reopened with a striking exhibition of new work by Flora Parrott – an artist in whom I’m particularly interested as she is producing a work for the 2012 exhibition, In Conversation with Stuart Sutcliffe. 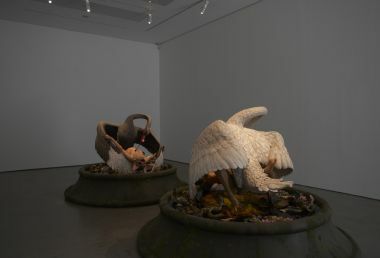 For this, Parrott says she is relishing the opportunity to include and acknowledge the mania of 60s popular culture and is responding to a letter of Stuart’s that struck her as particularly raw and dynamic, recognising the explosive and destructive relationships between Stuart and Astrid Kirchner and Stuart and John Lennon. 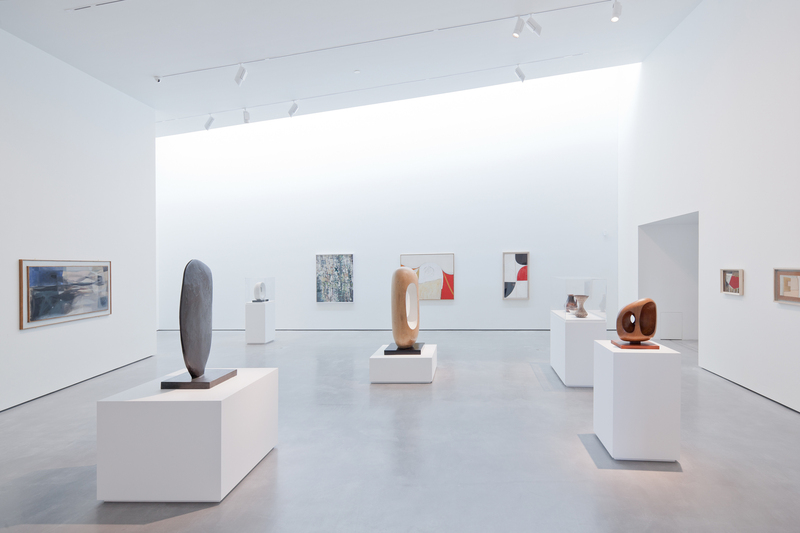 Although small, the new space looks great and Parrott’s all-encompassing works have transformed the gallery into the artist’s own electric environment. 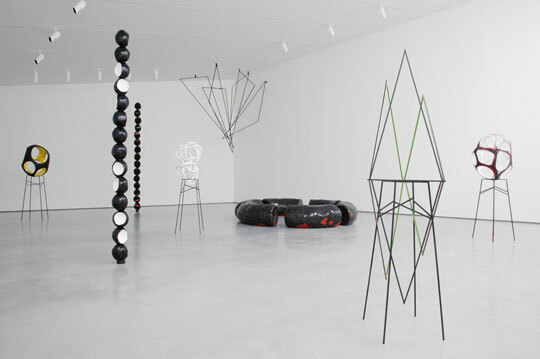 Five assemblages, all interconnected by striking black lines of tape, create a circuit in the gallery. The dynamism of the individual sculptures are intended to mimic a sensation based around a skate wing, a snail on glass, a carnivorous plant, a jaw bone and a pillow lava. 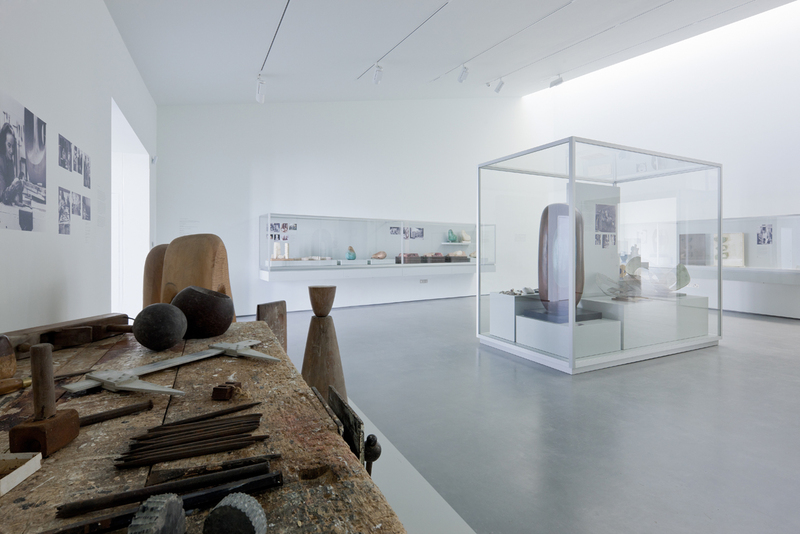 This use of unusual and diverse media (one ‘deduction’, for example, uses copper paint, cuttlefish dust, slate, OS board, oyster shells and found wood) shows Parrott’s constant experimentation to find textures and compositions that interact and resonate successfully in response to physical sensations. Parrott is preoccupied by the sensations of natural phenomena and Circuit: Five Deductions is a means to dissect and communicate these responses, systematically dividing and organising materials into sculptural configurations that play on the senses. 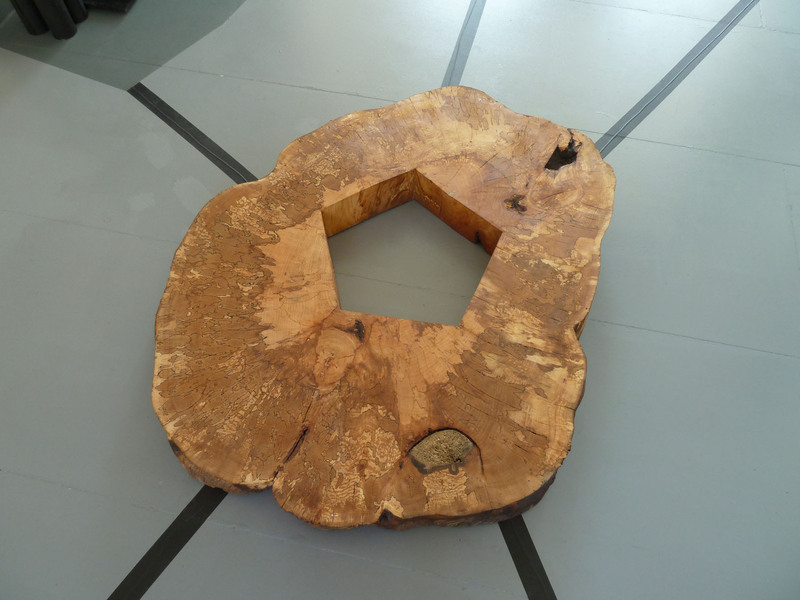 It is the interaction of Parrott’s works and the circuitry nature of the pieces that makes them special. Yes, they are physically linked but the materials, with their natural resonances, seem to be in dialogue with each other. Her work is very unusual: deceivingly simple on the surface, the highly complex ideas and structure of the compositions are all encompassing. Although this exhibition is definitely worth a visit and Flora Parrott’s career is well worth following, be sure you know where you’re going. 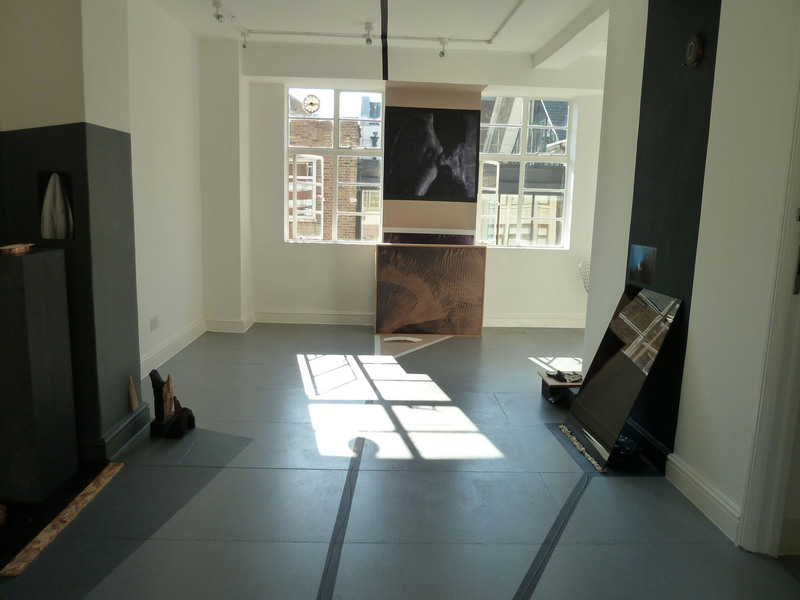 Flora Parrott’s Circuit: Five Deductions is at Tintype until 22nd October 2011, www.tintypegallery.com. There is nothing quite like a White Cube private view. As ever, there were more people outside than inside and most of those who had braved it in to see the exhibition were distinctly the worse for wear after standing on the Mason’s Yard cobbles having a ‘good go’ at the beers after having fled their offices or galleries at 6pm. 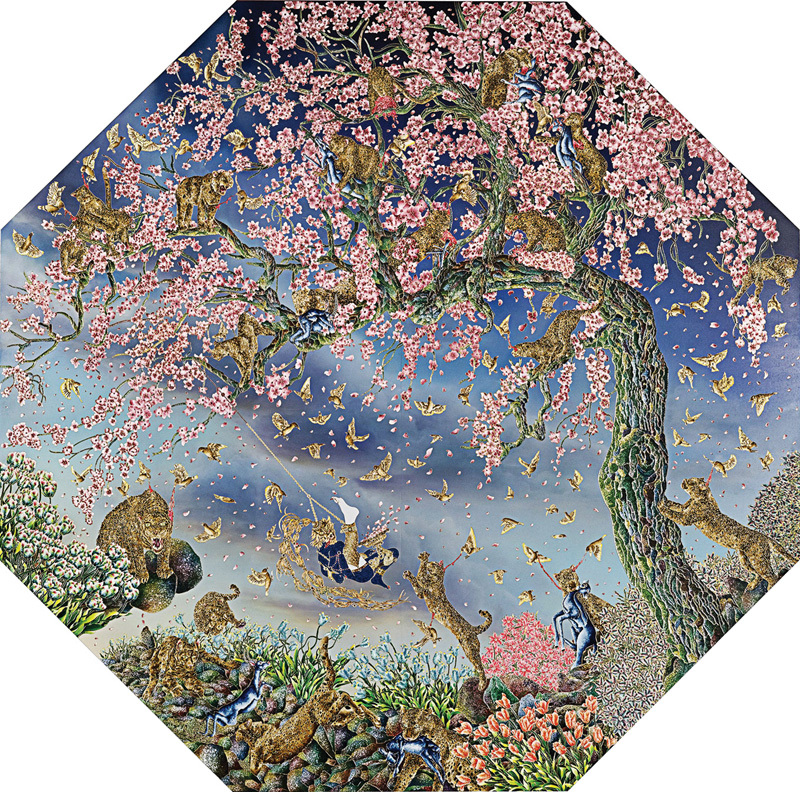 I always feel slightly torn when looking at Raqib Shaw’s works. For me, the glitziness and showy nature doesn’t quite hit the mark but there’s no denying that these are good works, well-executed in their detail. Raqib Shaw, Ode to the lost mooon when the nightingale was set free II, 2010. Image via www.whitecube.com. Paradise Lost, his latest body of work, presents John Milton’s famous poem in a new light creating a visionary ode to imaginary worlds from Shaw’s childhood. 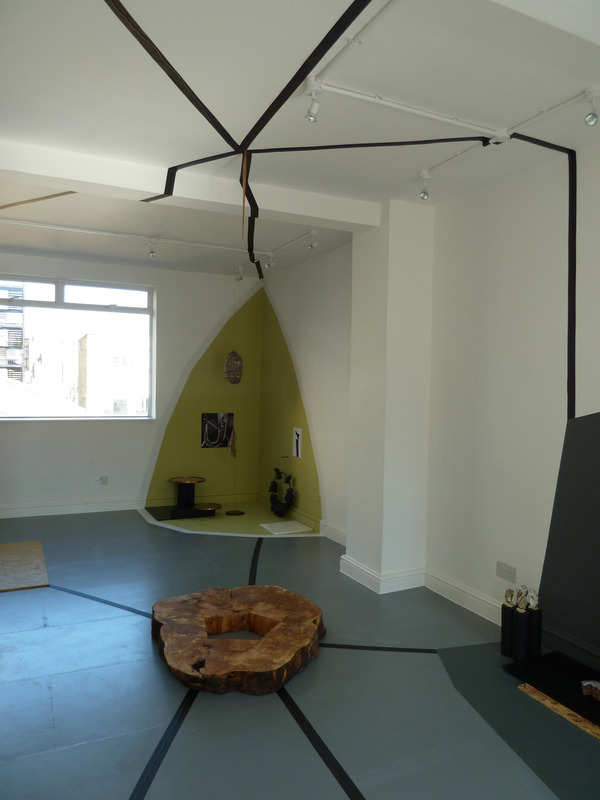 Upstairs, he presents two sculptural works that mirror each other covered with incredible detail. The main focus is a swan lurching over the innards of a man-like figure, blood streaming from his gouged eyes. This is Shaw’s perverse retelling of the Narcissus story also drawing on references from other Greek myths and Tchaikovsky. 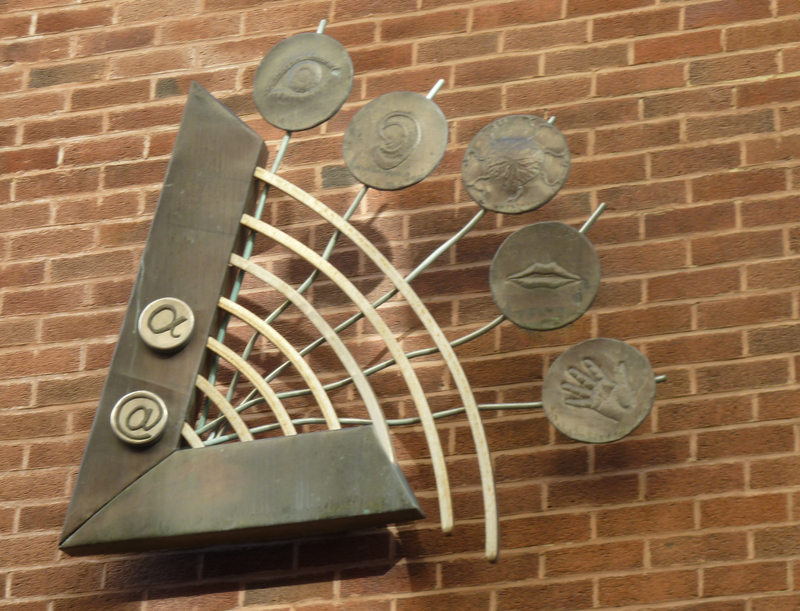 I wasn’t allowed to take photos of the work so you’ll have to rely on your imagination and these slightly grainy images which, although not ideal, does seem somewhat appropriate seeing as these works are about the incredible power of the mind. The individual sections of the sculptures are hyper-realistic and unnerving. The pond is carpeted with lotus flowers and the various creatures and figures who have eaten them, now shown in various states of sexual ecstasy and/or exhaustion. Being kabourophobic (don’t laugh), I managed to suppress a shudder when I saw that he had included crabs! Shown in dim light, the colours are horrifically striking. 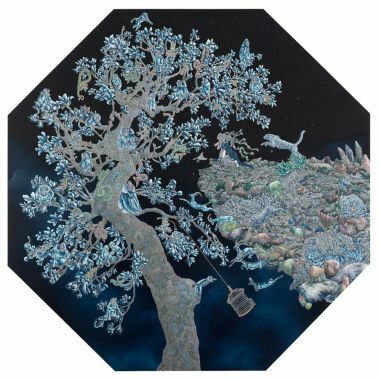 Raqib Shaw, Narcissus, 2009-11. Image via www.whitecube.com. contradictions like the beautiful medium he uses to depict carnage. Raqib Shaw, Blossom Gatherer II, 2010-11. Image via www.whitecube.com. His works are huge. From a distance they glitter like a children’s story book but look closer and this shimmer is not all it seems. 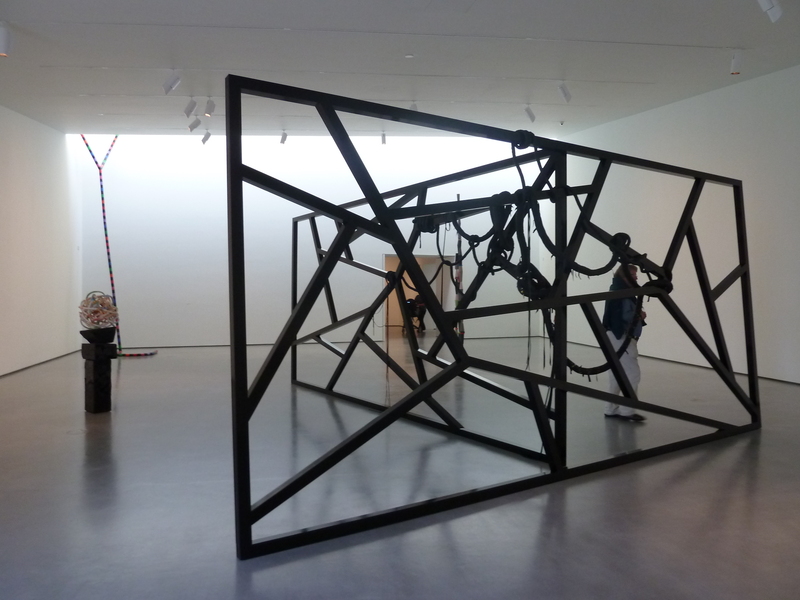 This is the sort of art that White Cube knows how to show off and the exhibition certainly has a sparkle to it. Raqib Shaw: Paradise Lost is at White Cube Mason’s Yard until 12 November 2011, www.whitecube.com. Everyone knows Barry Flanagan – love them or hate them – we’ve all seen one of his bronze hares somewhere or other. There are certainly enough of them dotted around! Tate Britain’s latest exhibition deliberately tries to steer clear of the overtly commercial, second half of Flanagan’s career and, instead, concentrates on his early works that are often forgotten or overshadowed. 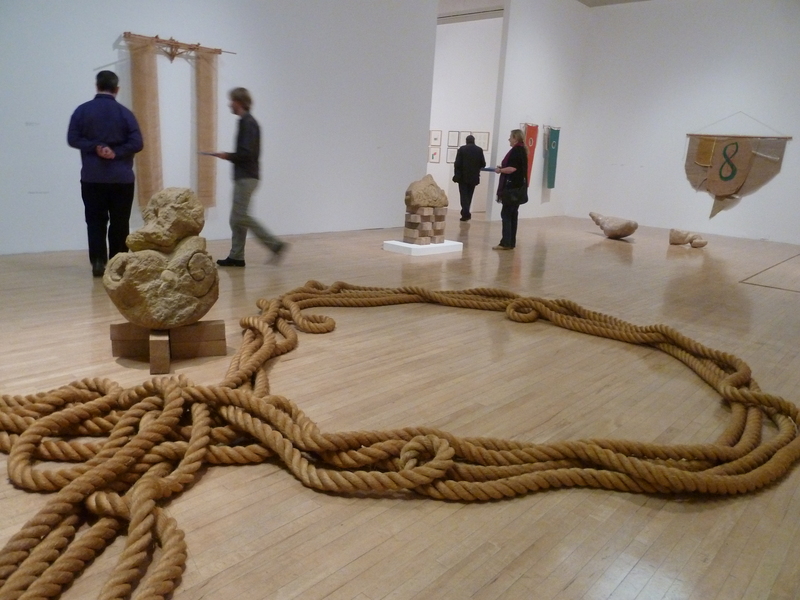 The exhibition begins at the end of Flanagan’s time at St Martin’s, where he used varied tactile media, such as cloth, felt, clay, plaster and rope, to create sculptures that explored process, material and tradition. Displayed in a carefully planned yet organically haphazard way, I had to be careful not to catch a stiletto and trip over the materials that trailed on the floor. His sculptural objects play with basic, raw materials that often use the wall as a support, thereby blurring the boundaries between the two-and three-dimensional. 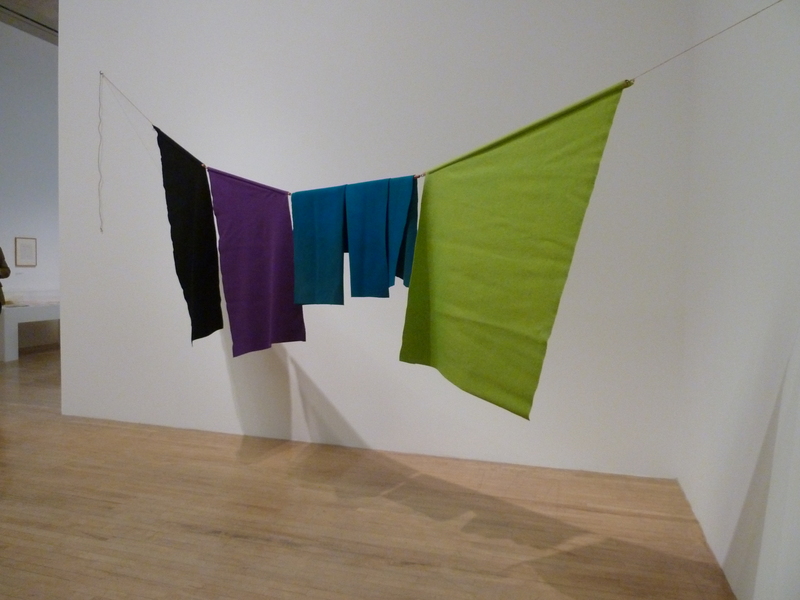 It is easily evident in this exhibition that Flanagan liked to play although he was sometimes evasive in his method. 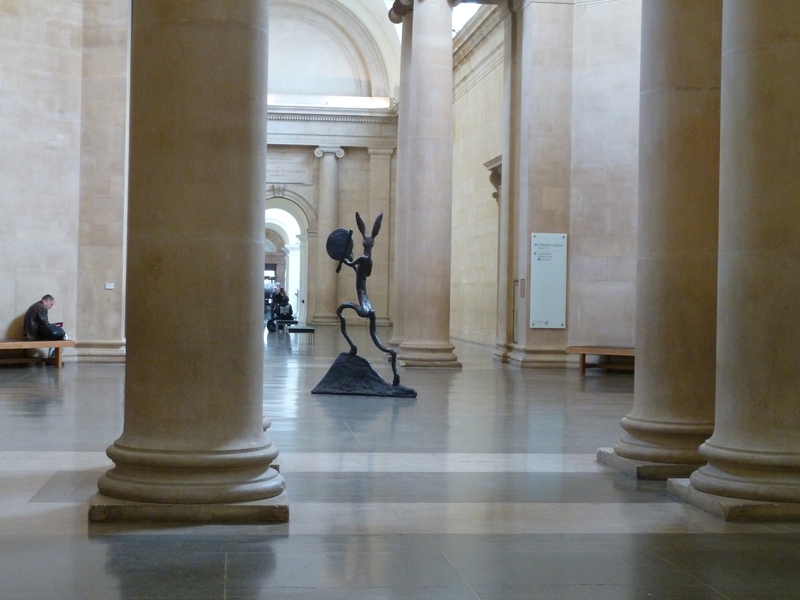 Barry Flanagan at Tate Britain. Own photograph. 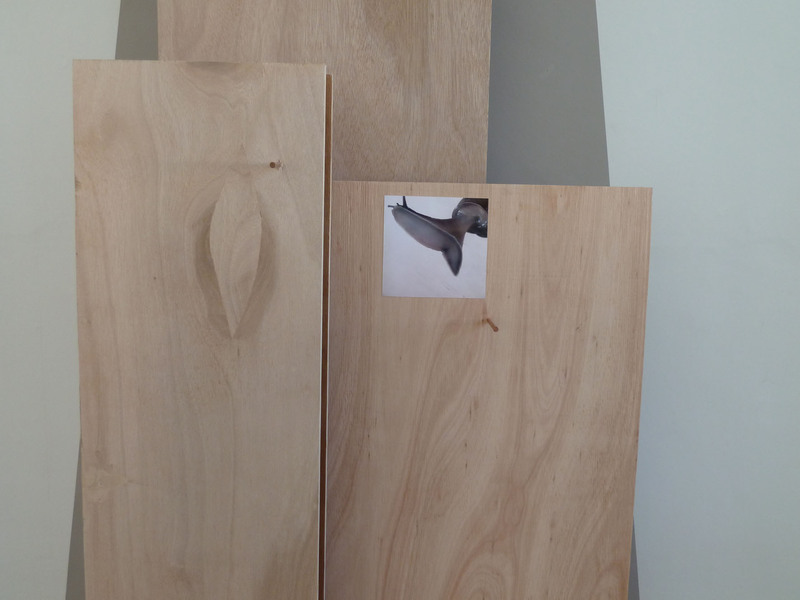 Flanagan’s work often defies conventions in unconventional ways. His pre-sewn canvas shapes are filled with plaster or sand, allowing them to create their own forms during the process. He let the materials guide him playing with chance, simplicity and shape. Flanagan, in his early days, was a craftsman with a deep understanding of material; both and then among Celts, for example, have a delicacy and tactility with the authenticity and humility of material hinting at his true personality. Barry Flanagan, and then among Celts N. ’77, and then among Celts N.W. ’77, 1977. Own photograph. 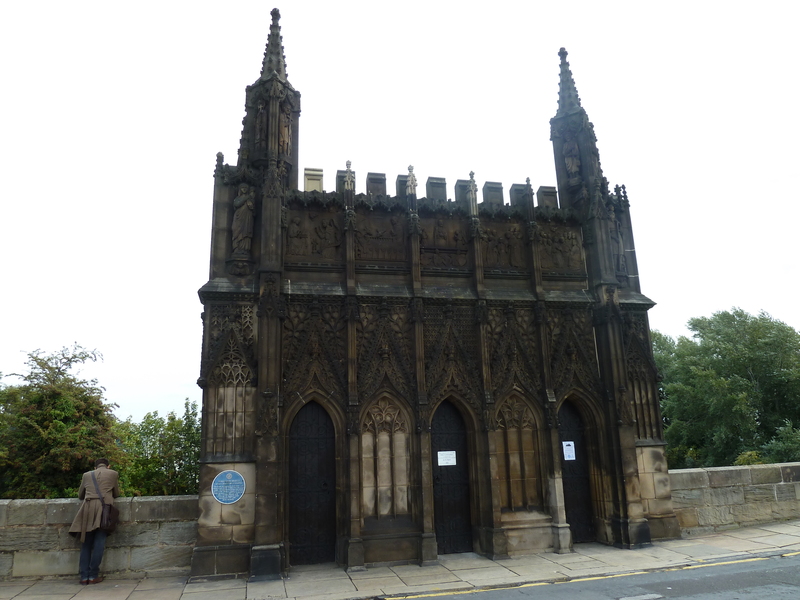 He was also a superb draughtsman and some of his drawings are included in the later rooms. But only the very last room introduces his hares. The curators decided to curtail the retrospective at 1982 because the large bronzes are already so well-known and accessible. 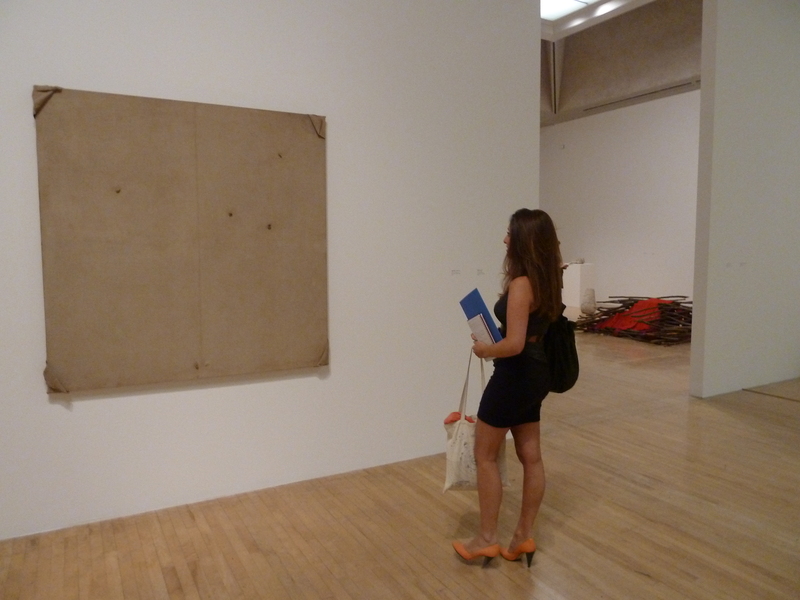 Instead, they wanted to look at the more private, intimate works of Flanagan’s beginnings. For me, here lies the problem. Many of Flanagan’s works are personal and this exhibition does not teach, or tell, us enough about the artist and his inspiration to allow these works to capture our attention. The wall labels are scant and uninformative. He was intensely private from a very young age and did not even speak until the age of 7. Instead, he constructed internal worlds to which only he was privy. This echoes in his art. 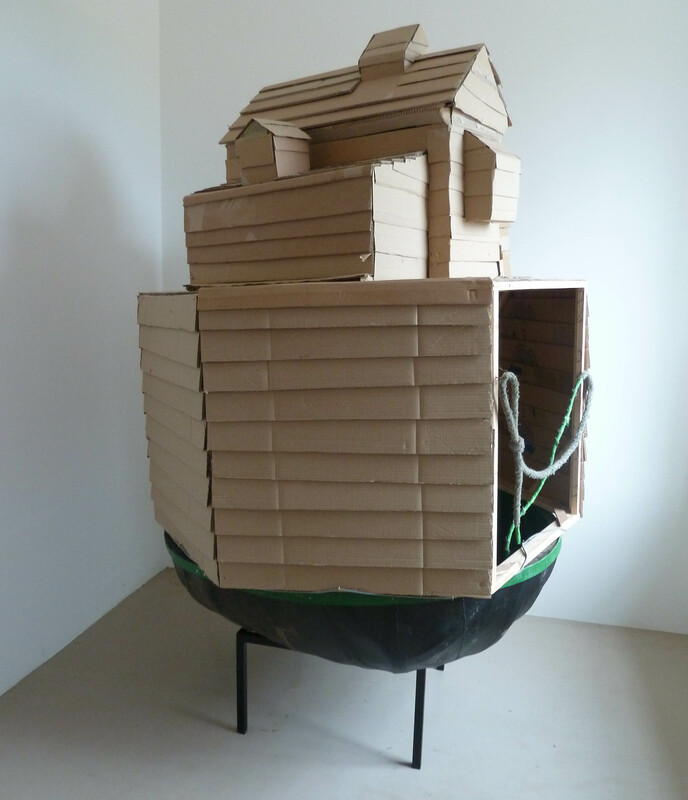 Without knowing Flanagan, we are not privy to the ideas that manifest themselves in his art. The show aims to argue a continuity of practice across Flanagan’s oeuvre but, I think, it still leaves his career split very much into two polarised sections. What unites his works, however, is their lack of pretension; whether his mighty bronzes or his small-scale sand sculptures, his personal touch and often humorous approach brings these pieces down to earth. The large hare at the end of the exhibition heralded a new phase and the end in more ways than one – the end of Flanagan’s manipulation of materials and the beginning of his obsession with the idea that took off and brought him commercial success. His early works are so different and have the potential to be interesting, but the exhibition fails to present them in a powerful light. No, I’m not using a hidden meaning here. Once again, the awfully low light levels take away any wow-factor the works may otherwise have had and leave a rather bland, unexciting exhibition. For once, Tate seem to have used white paint for the walls but they have managed to give a grisaille effect with the lighting! The dimness gives the gallery an almost reverential feel which is wrong here. The works aren’t meant to be deified and admired in this way. They are light-hearted explorations of craft, showing an exciting artistic progression; they need to be presented in a lively way. Well lit, Line 3 ’68 could be beautiful if displayed properly but here it looks static. 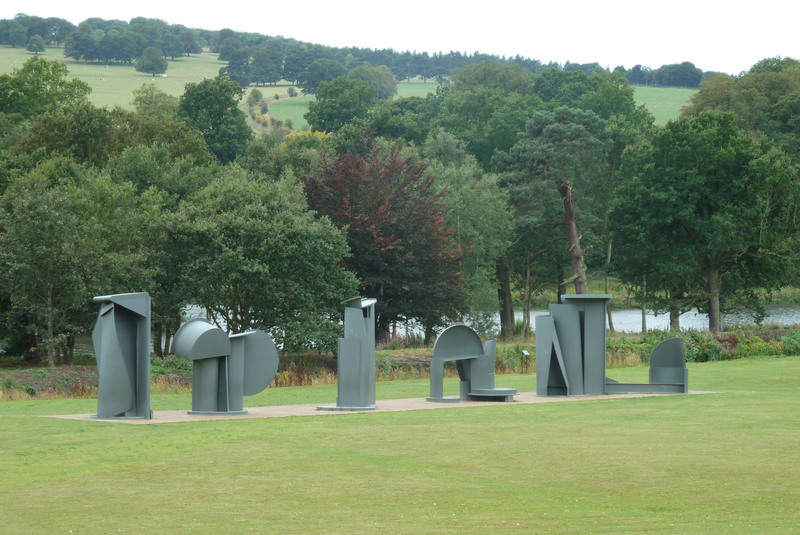 In fact, the catalogue shows how great this work can look – it’s a shame its potential is lost. Barry Flanagan, line 3 ’68, 1968. Own photograph. 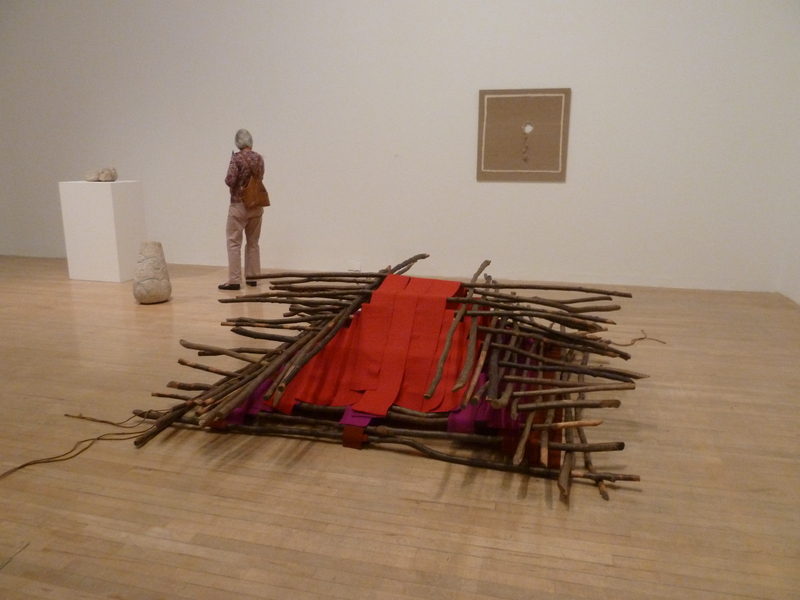 It is important not to underestimate Flanagan’s stature as an artist and it is interesting to see these works. 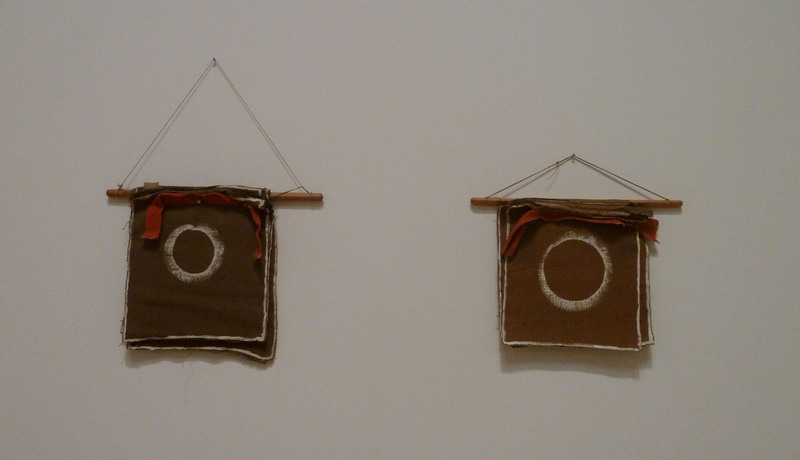 So much of the exhibition’s problem (in fact, maybe all of it) is to do with the method of display. 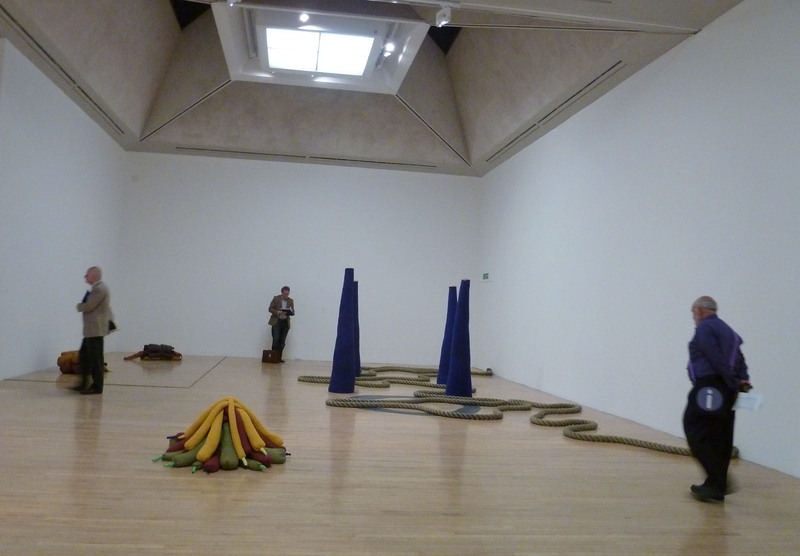 The exhibition is flat and non-descript and does not do justice to these works. The catalogue, however, does! As we passed one of the monumental hares ‘running’ along the Duveen Galleries, we too decided we needed to hurry off for a revitalising glass of wine (or two). As we all know, the French love their food and I, for one, have spent the past week sampling their gastronomic delights. The English have a sentimental attachment to their pets, and while the French cherish their dogs, even taking them out to restaurants, most other animals are regarded as potential meals. The Musée de l’Étang de Thau, in the charming fishing village of Bouzigues, demonstrates this in no uncertain terms. 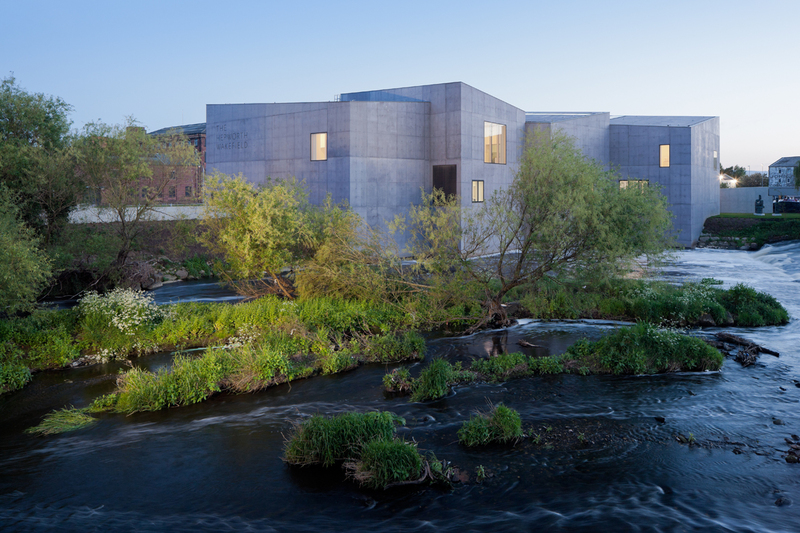 An art gallery, museum and aquarium all rolled into one – it certainly is unique. 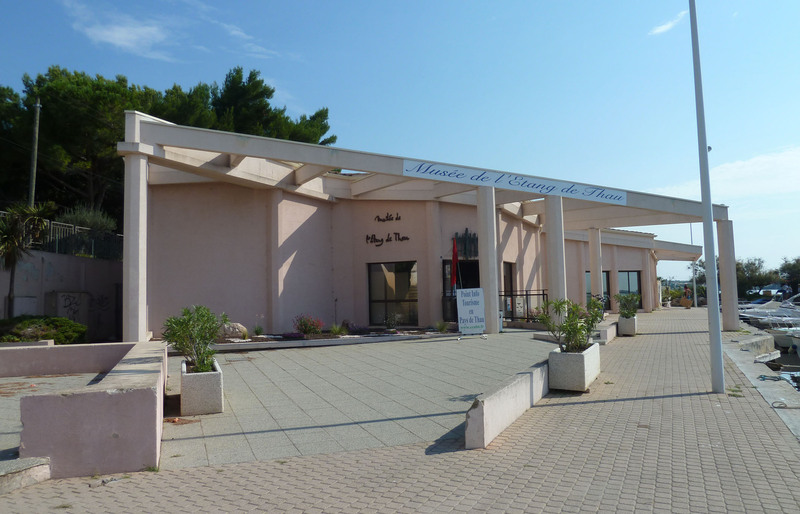 Musée de l’Étang de Thau, Bouzigues. Own photograph. The second largest lake in France, the Étang is a thriving shellfish industry with over 13,000 tonnes of oysters and 3,000 tonnes of mussels farmed annually. 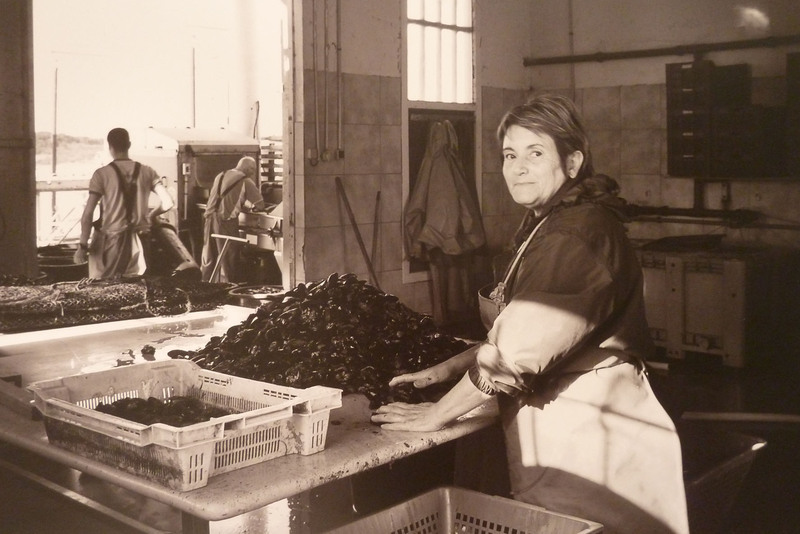 Their current photography exhibition, Femmes d’Étang, focuses on the women of the Étang showing that they can work as well as the men. The feminist in me rose to the surface and I thought this was great. Originally, the men were responsible for the manual labour ‘with their arms’ but the women wanted to share in the work believing they were just as capable (if not more so). Femmes d’Étang at Musée de l’Étang de Thau. Own photograph. Over the years, women have become more and more involved in the life of the Étang, often adapting established systems to create more efficient and convivial practices. The photographs successfully capture the hard work that goes on here and the principal involvement of these great women, who seem to thoroughly enjoy it. 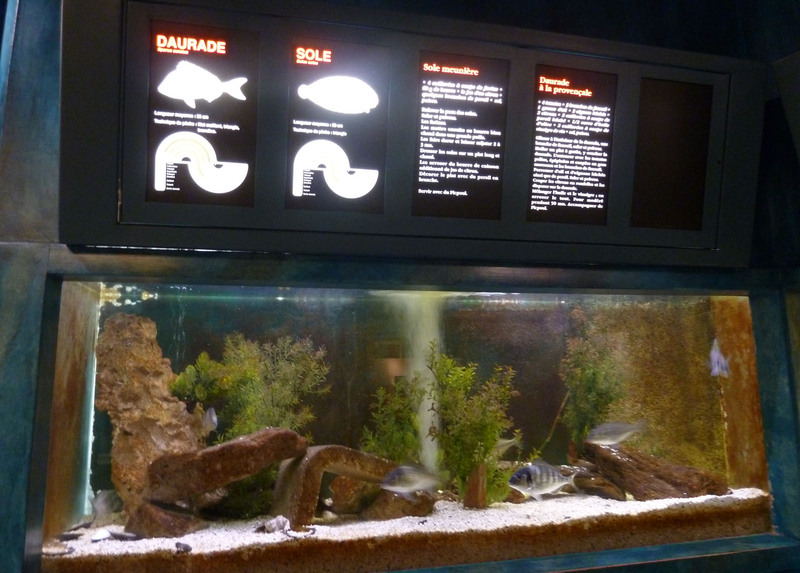 But, the highlight of the museum, which has to be seen to be believed, is the aquarium where fish from the Étang swim around their tanks accompanied by plaques with local recipes and serving suggestions. I kid you not. I’d heard about this museum for a number of years but always thought I was having my leg pulled. Sole and Daurade. Own photograph. 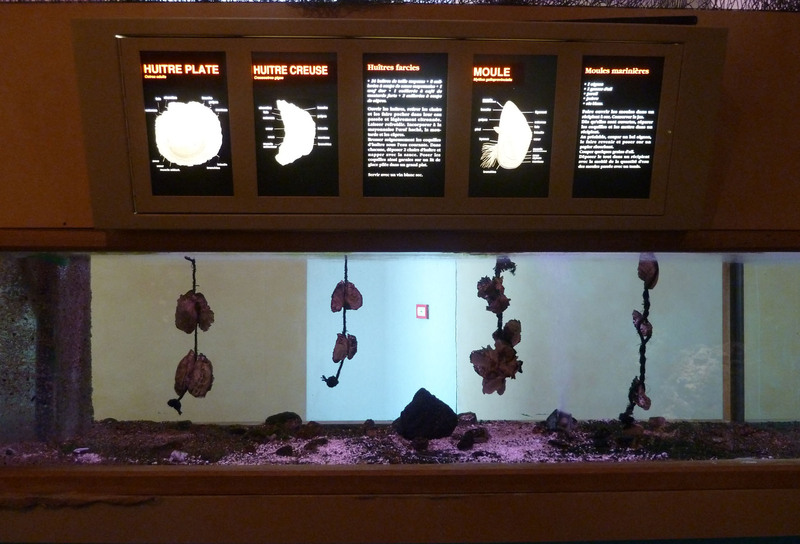 No, you’ve got to hand it to the French – they’re certainly spiced up an otherwise fairly mundane aquarium. And, I’m somewhat ashamed to admit that looking at those oysters in their tanks did make me look forward to my lunch. Oysters and Mussels. Own photograph. 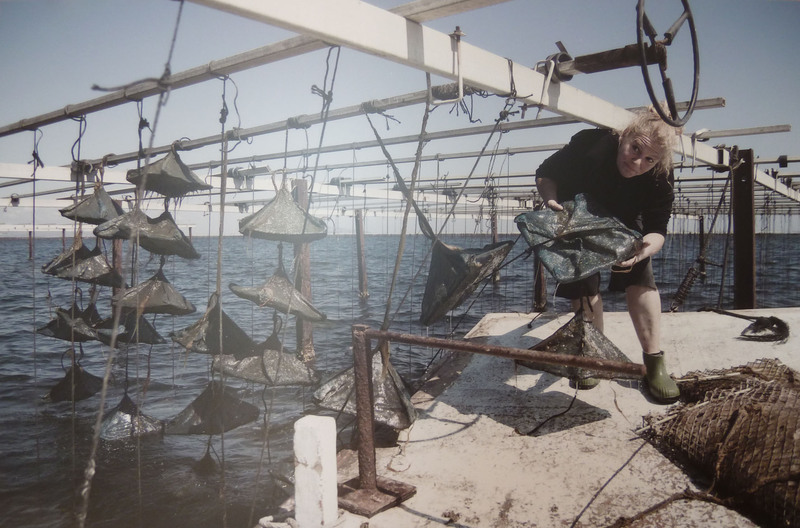 Femmes d’Étang is at the Musée de l’Étang de Thau until 31st December 2011, http://www.bouzigues.fr/musee/francais/etang-thau.html. 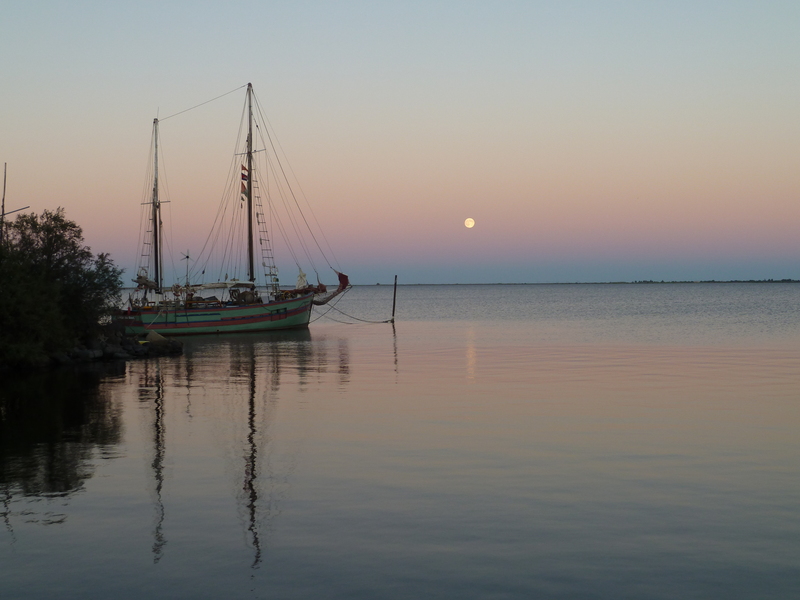 At night, the lights of Sète shine across the étang from Marseillan. 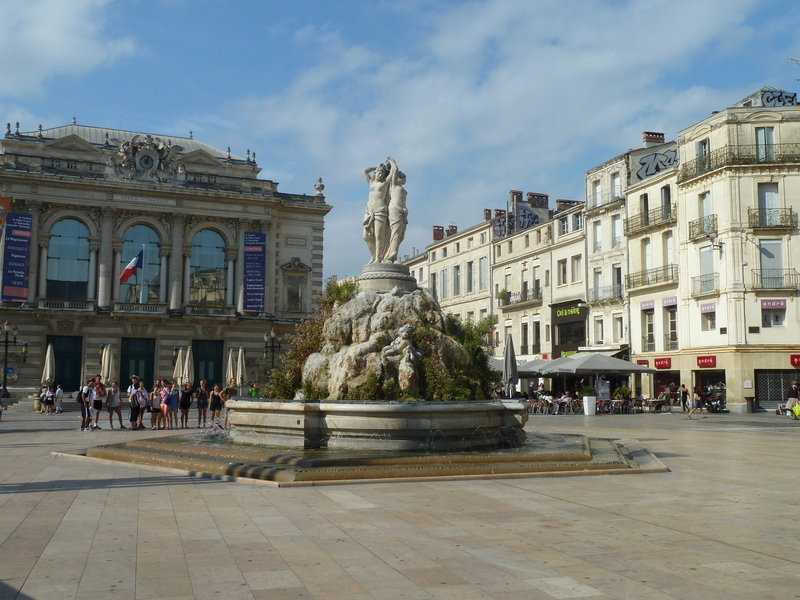 During the day, Sète is a busy commercial port but it is also known for its art (and seafood). 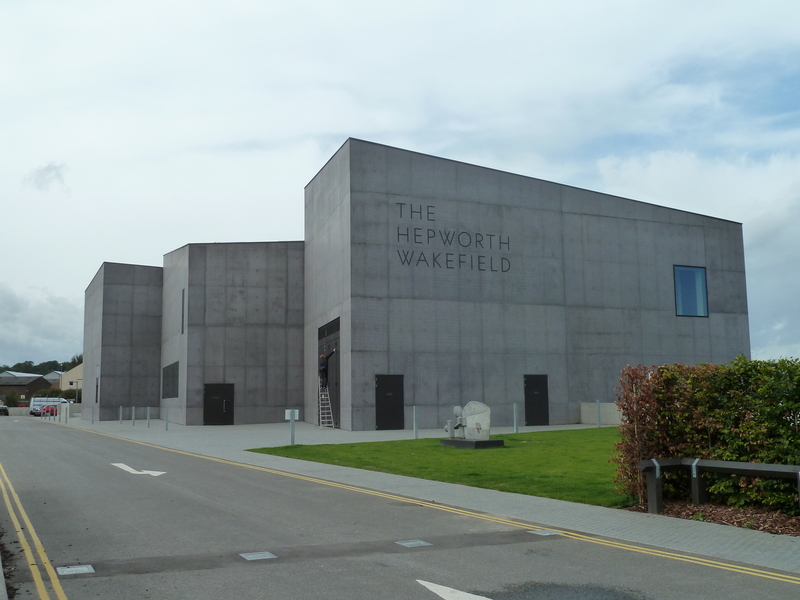 You could easily spend the day exploring its four museums and numerous smaller galleries. Sadly, I had time for only one. The Musée Paul Valéry is named after the town’s famous poet. 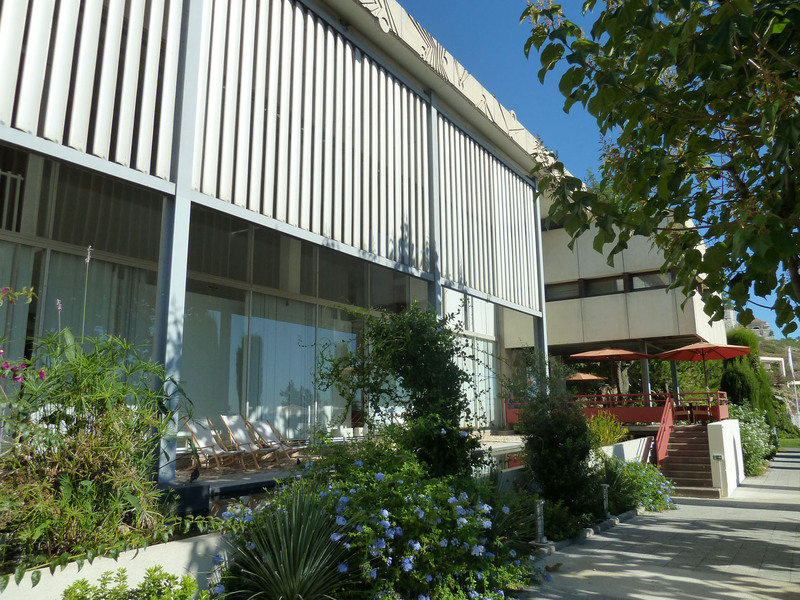 Musée Paul Valéry, Sète. Own photograph. 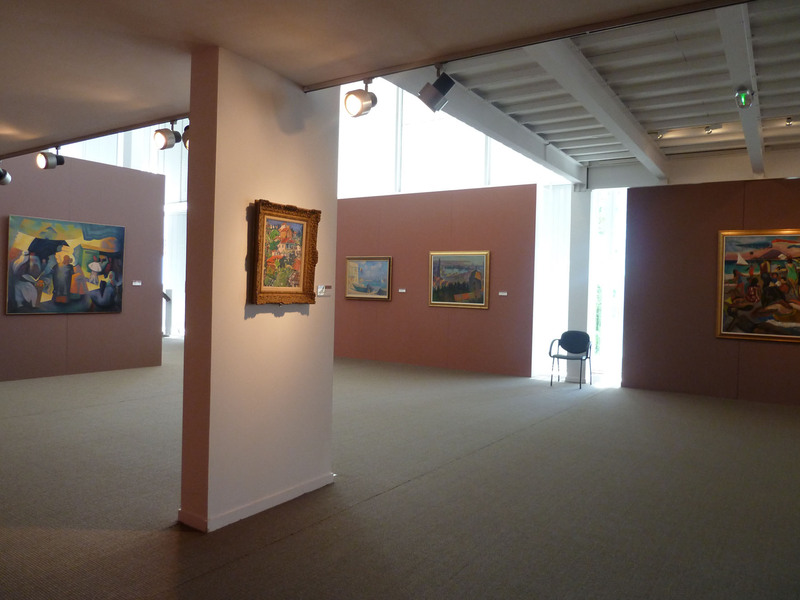 Musée Paul Valéry has recently undergone a major refurbishment – it is nicely designed and a pleasure to walk through. 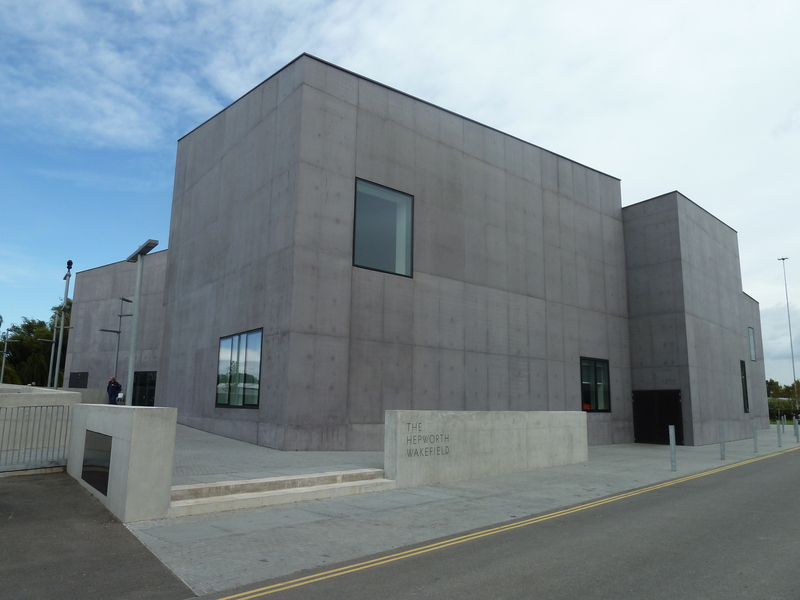 Their permanent collection focuses on local artists with a strong maritime theme but, unfortunately, it’s not up to much. Some of the works are really rather bad and it won’t take you more than ten minutes to walk through this part of the museum. Upstairs is a different story and the current exhibition, Juan Gris: rimes de la forme et de la couleur, is an unexpected delight. Born 1887, Gris’s family had determined he would become an engineer but, contrary to their wishes, he chose a more artistic route. Arriving in Paris in 1906, he met Picasso and numerous other influential artists of the time and witnessed the emergence of Cubism. There is no doubt that Gris was instantly smitten although, for some years, in order to make a living, the majority of his time was given over to contributing drawings to periodicals. 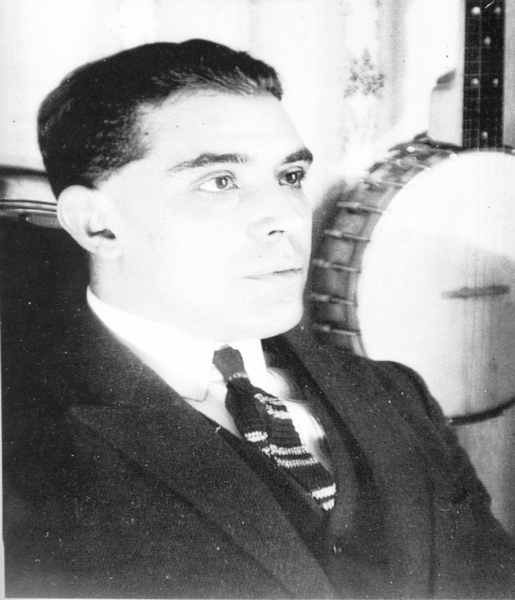 Man Ray, Juan Gris in 1922. Image via http://museepaulvalery-sete.fr/. Gris watched and learnt from his artist friends. 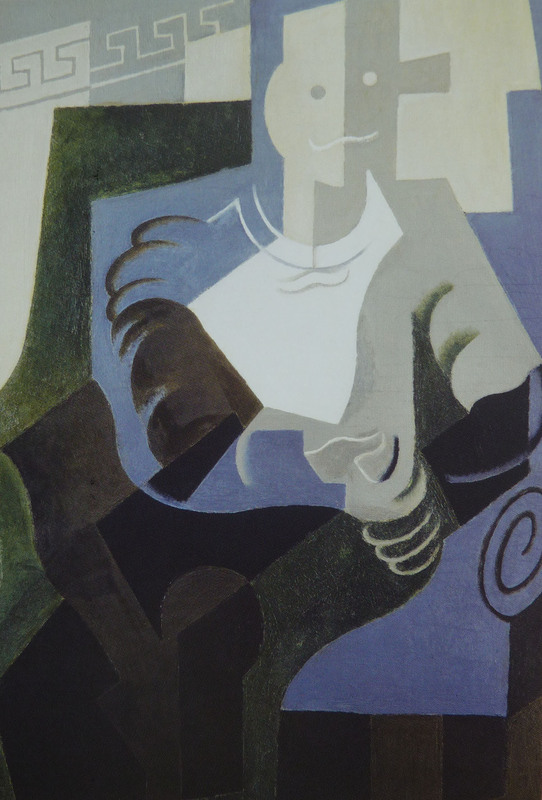 Borrowing techniques from the analytical style of early Cubism, he broke away from the Cubist palette and distinguished himself from Picasso and Braque by introducing his own vision, working in the style of Synthetic Cubism. Juan Gris, La vue sur la baie, 1921. Own photograph. I was already a fan of Gris’s painting and there is no doubt that he is a successful master of composition. His scientific mind is evident from his studies and some of his works are very minimalistic and austere. The exhibition is extensive and follows Gris’s entire career – brief though it was. Quotes on the wall from Gris and his contemporaries are a nice touch. A series of unusual drawings from 1910-11 is an interesting inclusion that I hadn’t seen before. During World War One, he developed his own syntax and his shapes are formed by an enigmatic interaction between line and colour. Gris invites the spectator to consider the forms he has presented. As objects balance and perch one on top of another, they vie for our attention in a subtle and understated way. His works are not about making big bangs but taking a back seat in a powerful way. 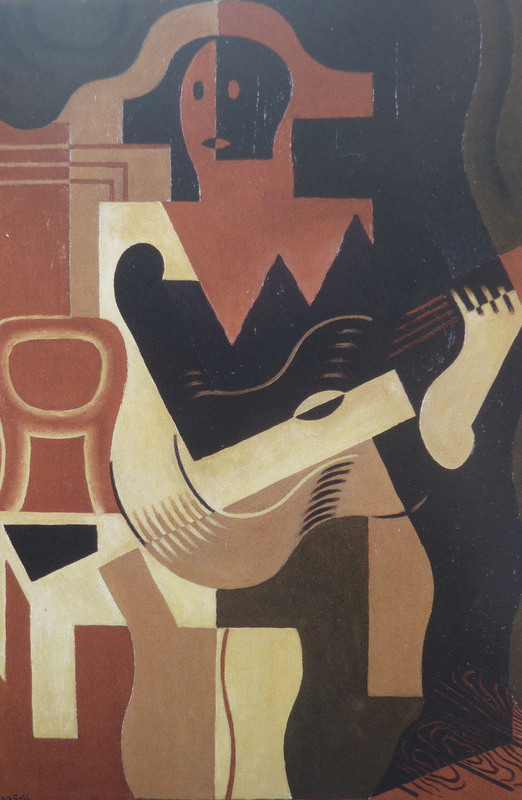 Juan Gris, Arlequin assis à la guitare, 1919. Own photograph. Although still lives dominate Gris’s oeuvre, there are still characters all of whom have an identifiable aspect. Despite these recognisable features, the ‘portraits’ have an absence of reality – they are more human prototypes than actual people. The figures belong to a dramatised fiction, accompanied by an occasionally unsettling timeless silence. After the war, Gris developed ‘visual rhymes’ where there was more room for metaphors of shape. The works from 1920-25 are striking for their extreme simplicity and thick heavy outlines. He repeatedly studies the same subject, managing to vary the method or portrayal each time with an almost poetic intuition. Juan Gris, Personnage assis, 1920. Own photograph. 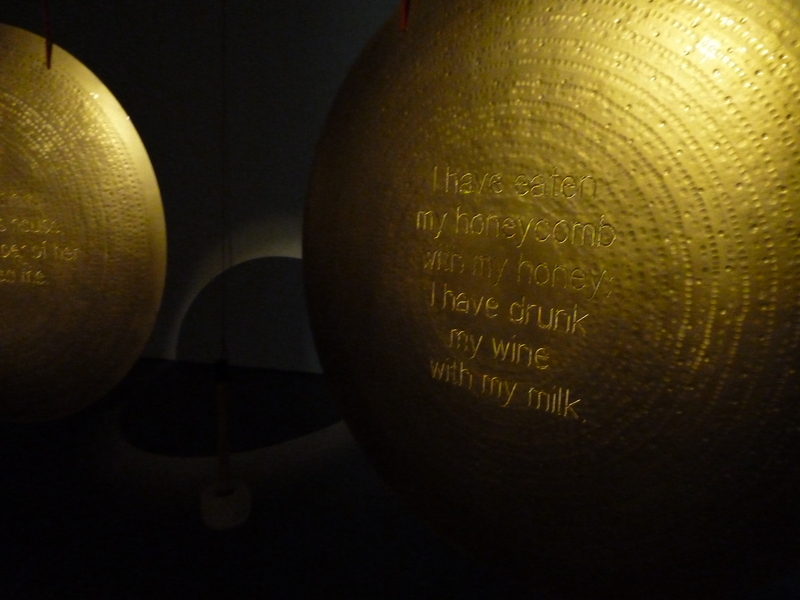 This is a large but easily palatable exhibition, spaciously hung and enjoyable to visit. The reflections in the glass are often a problematic distraction, but this is an on-going concern of mine. Gris was prolific – although he painted for less than 20 years, he left around 600 paintings. This is a great introduction to the artist if you are not already familiar with him. 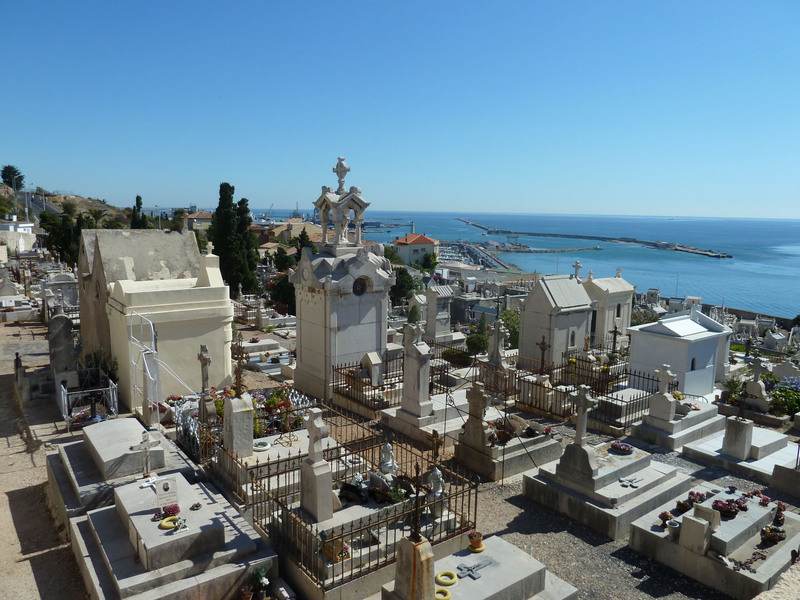 Directly across the road from the gallery is the Cimetière Marin – the Sailor’s Cemetery. Perched on a cliff and facing the sea, this is one of Sète’s most famous places and has one of the most stunning views. It also houses the grave of Paul Valéry himself. With an impressive air of Classicism surrounding the layered tombs, it is definitely worth a visit. Cimetière Marin, Sète. Own photograph. Sète itself is tranquil, yet bustling and unpretentious. If you manage to avoid the more touristy areas, it’s a charming town to visit. 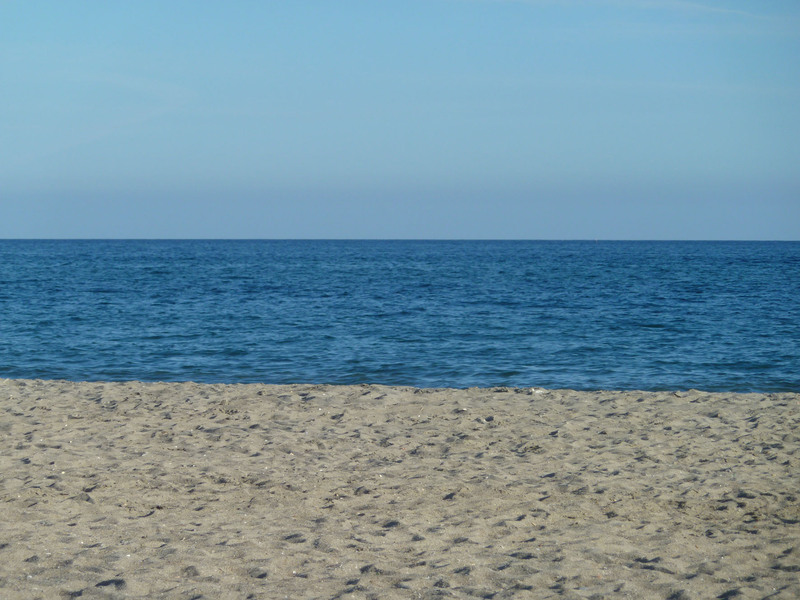 I headed off on a boat to tour the canals and then once more unto the beach. Surprise, surprise I headed back to La Ola for the rest of the afternoon to soak up some rays! 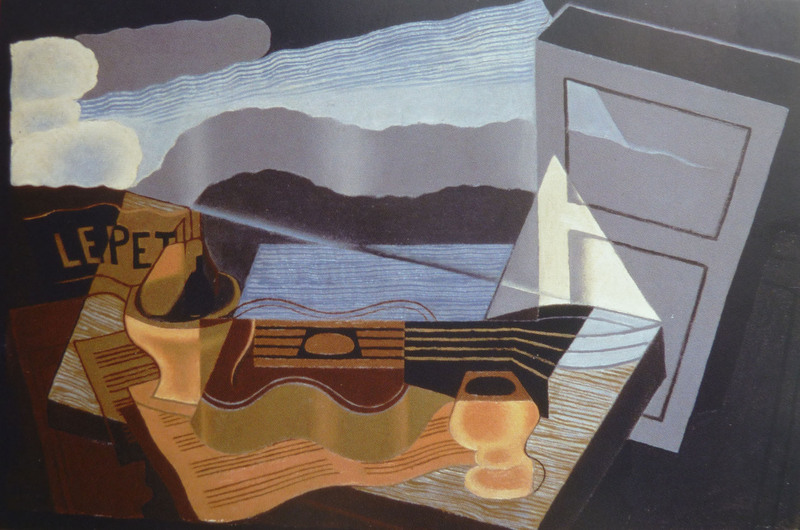 Juan Gris: rimes de la forme et de la couleur is at Musée Paul Valéry until 31st October 2011, http://museepaulvalery-sete.fr/. Arriving in Montpellier after only two hours’ sleep, le petit train was the perfect way to relax and see the city – full of gorgeous architecture and intoxicating French culture. Suitably resuscitated, I headed off to the Musée Fabre. Mad I know, but my conscience wouldn’t allow me to miss such a well-known gallery. Musée Fabre, Montpellier. Own photograph. The Museé Fabre is housed within a 17th century Jesuit college and an 18th century Hotel de Ville brought together in a maze by a series of 19th century extensions. It is as big as it sounds. The current exhibition, touring from the Grand Palais in Paris, presents the works of Odilon Redon, a forerunner of the Impressionists, known for his fascination with the imaginary. 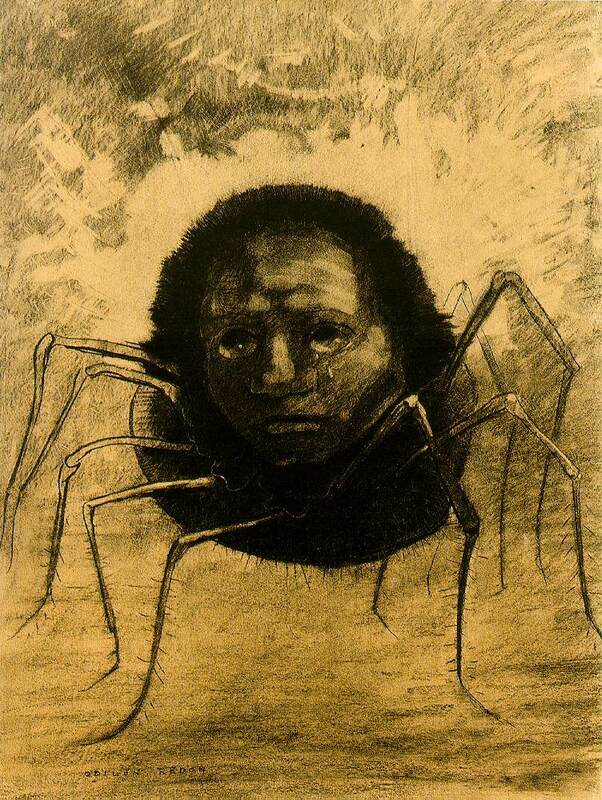 Odilon Redon, Crying Spider, 1881. Image via www.odilonredon.net. Redon is not an artist with whom I was familiar and I wasn’t sure what to expect but the exhibition is striking. The opening curved rooms are painted dark blue, encouraging visitors to move around the space. Although the rooms themselves are quite dark, all the works are well lit. Peepholes allow previews of what is to come and, importantly, all the wall labels are in both English and French (this did deny me the chance to show that a summer course at L’institut was not a waste but I’m sure there will be other opportunities). Redon exhibition, Musée Fabre. Own photograph. Redon’s work presents dreamlike visions. He had an affinity with the ideas of Edgar Allan Poe and many of his early works were inspired by Poe’s writing. 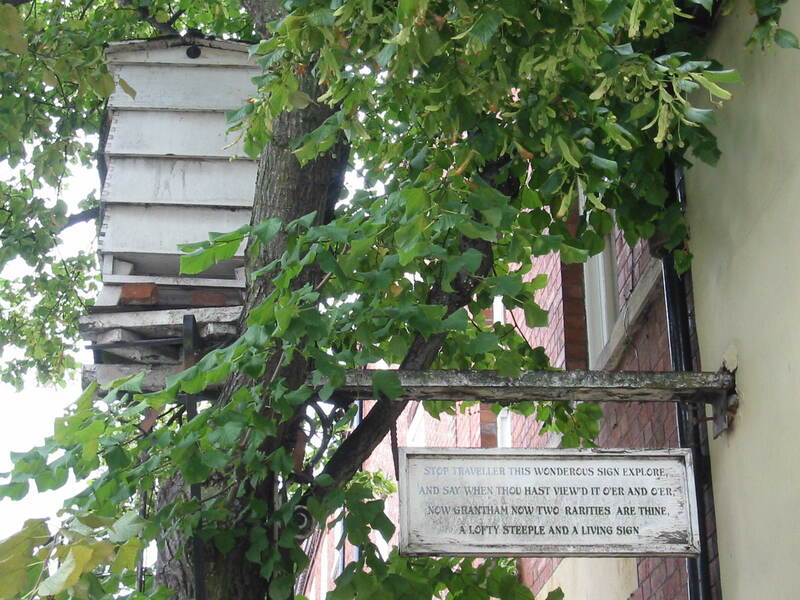 But he did not intend to recreate the scenes and, instead, his works were independent and freely created. His most well-known work is Homage to Goya. Although this series does not actually have any formal borrowings from Goya, the title revealed Redon’s desire to draw attention to his work by following the path acclaimed by critics. This prompted much attention from the literary circle of the time, not least acting as the trigger for his friendship with Stéphane Mallarmé. 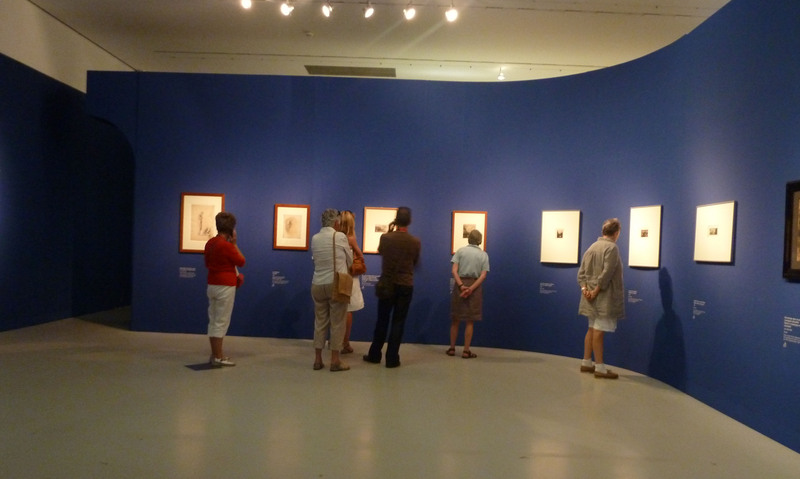 Redon began to display works from the series individually and provoked interest from collectors and exhibition organisers. 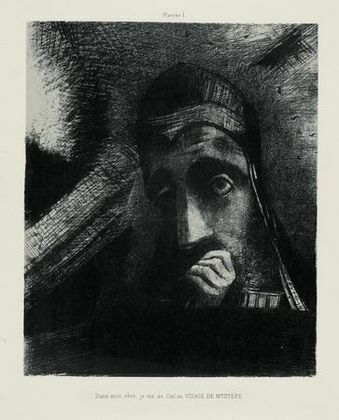 Odilon Redon, Homage to Goya, 1885. Image via www.moma.org. introduced as a more dominant element in his work and this swiftly became a permanent transition as he began to experiment with new forms. For me, here, his works lose some of their mystique. Mid-way through the exhibition the walls change to a deep rust orange colour; this denotes a shocking change in style as Redon took a renewed interest in the decorative arts, prompted by commissions from his growing circle of patrons. Although his love of flora now becomes evident, he still extolled fantasy and undertook the decorative path simply with no excess or fuss. This is far too drastic a change from his earlier work for me and from this point on the exhibition (or rather his oeuvre) becomes disjointed and a little confusing. That said, there are some gorgeous works including one very unusual portrait that shows a delicate sympathy to his sitter. 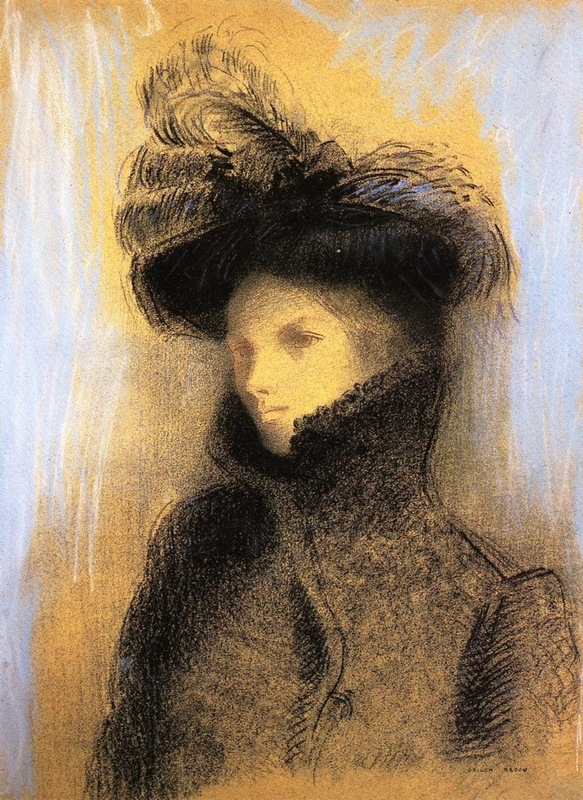 Odilon Redon, Portrait of Marie Botkine, 1906-07. Image via http://picasaweb.google.com. The exhibition is beautifully curated and the changing colours of the walls serve well to show the developments of Redon’s career. Upstairs, displayed on mustard yellow, Redon’s later works focus more on his interest in spirituality while continuing an evocation of the dream-like imagination and an interest in Classical mythology. 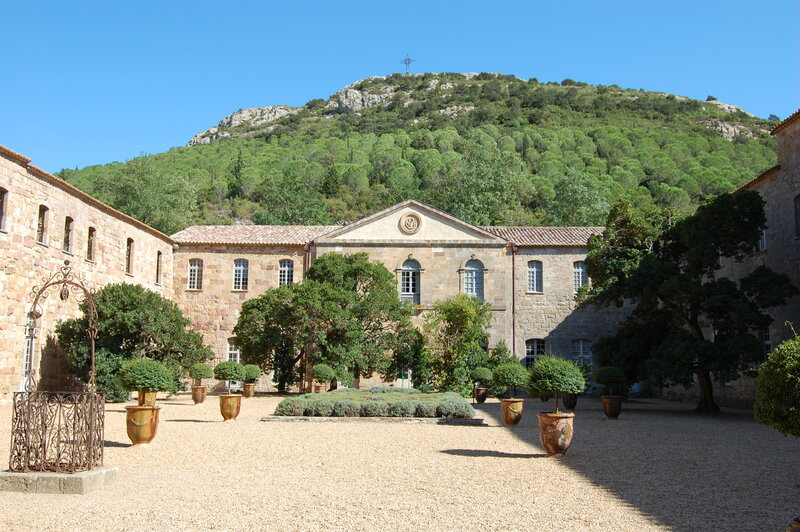 Gustave Fayet, one of Redon’s best patrons, bought Fontfroide Abbey (a gorgeous site and definitely worth a visit – I went last summer) and undertook its restoration. He commissioned the library décor from Redon who created the large panels Day and Night as a synthesis of all his ideas. The interior rooms of the Abbey have been specially opened for the course of this exhibition. 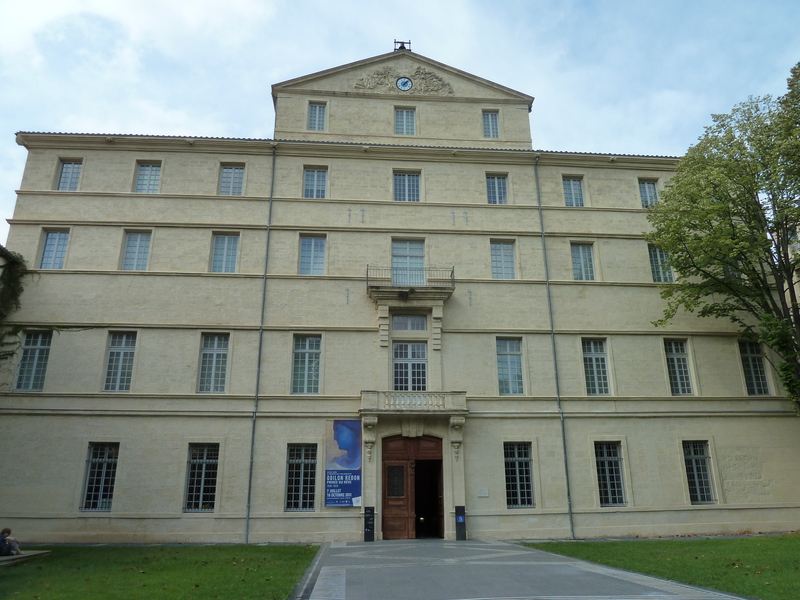 As I said, Musée Fabre is extensive and the permanent collections include works by all the French greats – there’s Géricault, Delacroix, David, Ingres, to name but a few. 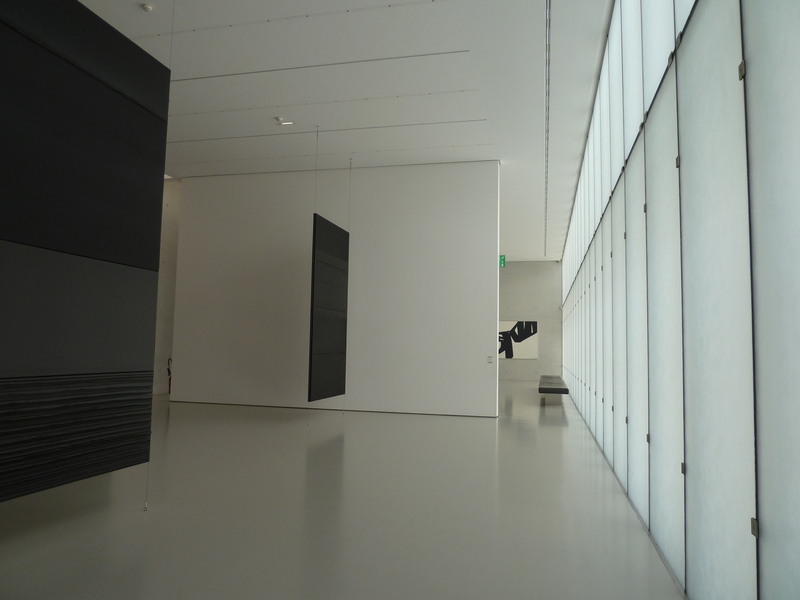 The Soulages’ rooms present a more shocking contrast to the traditional space of the gallery; lit by a wall of translucent glass, many of the works are suspended in space, their startling black highlighted by the white walls. Soulages at the Musée Fabre. Own photograph. With the sun shining and beckoning me outside, it was hard to give these galleries the time they deserved but Musée Fabre is definitely worth a visit if you’re ever in, or near, Montpellier. After wonderful crêpes in the Place de la Comédie, I headed to the Pavillon Populaire, just across the Esplanade from the Favre, for their Brassaï exhibition. I have written about Brassaï fairly recently as he is one of the ‘greats’ included in the RA’s Hungarian photography exhibition and so I shall not go into too much detail about his work again. Place de la Comédie, Montpellier. Own photograph. This exhibition focuses on the artist in America in 1957. As known from his famous Paris photography, Brassaï enjoyed looking at a city’s undercurrents and photographing prostitutes, drug addicts and seedy music halls as well as the better-known attractions. In this way, he set himself apart from other artists of the time. Perfectly displayed here in groups, his short exposures capture an amazing spontaneity – many of the shots have been captured in quick succession showing movement or the progression of time, often in comic ways that reveal remarkable insight into the mind of the artist. Brassaï en Amérique, 1957. Image via www.paris-art.com. Again, different sections of the exhibition have different wall colours, a stylish presentation that the French pull off with aplomb. Brassaï was a very talented photographer with an incredible eye. 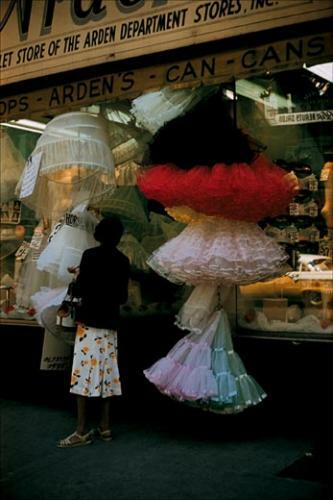 His photographs of people from behind show a remarkable intimacy and offer a new perspective on city life. It was time to head into Marseillan and have a siesta before cocktail hour! Odilon Redon, Prince du rêve, 1840-1916 is at the Musée Fabre until 16 October 2011, http://museefabre-en.montpellier-agglo.com. Brassaï en Amérique 1957 is at the Pavillon Populaire until 13 October 2011, http://www.montpellier.fr/506-les-expos-du-pavillon-populaire.htm.